Candace H. Johnson-For Shaw Media Dominique Brandt, 11, of Lindenhurst picks up her dog, Trinka, a Rottweiler-mix during A Day with the Dogs at Loffredo Park in Lake Villa. Dominique's mother, Shawn Forsythe, owns Peace, Paws & Harmony in Lindenhurst. 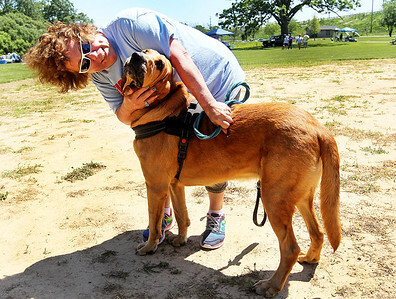 Candace H. Johnson-For Shaw Media Nancy Slivka, of Waukegan looks at her dog, Cletus, a red bloodhound, during A Day with the Dogs at Loffredo Park in Lake Villa. 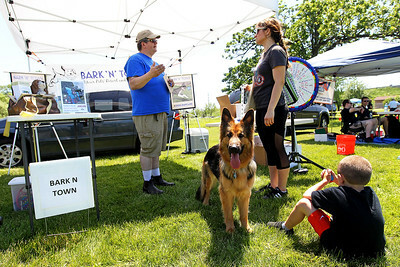 Candace H. Johnson-For Shaw Media Brian Linning, president and owner, of Bark "N" Town in Ingleside talks with Diana Ursea, of Antioch, as she holds on to Zelda, her German Shepherd, while her stepson, Vitale Fiorelli, 8, of Waukegan takes a seat on the grass during A Day with the Dogs at Loffredo Park in Lake Villa. 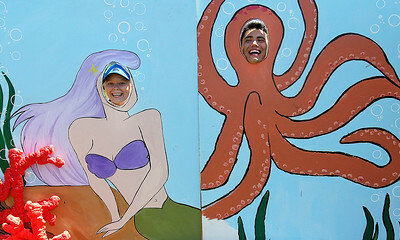 Candace H. Johnson-For Shaw Media Kara Jones, 20, and Nic Rubio, 18, both of Lindenhurst get their photo taken with an "Under the Sea" themed cut out board sponsored by the Animal Hospital of Lake Villa during A Day with the Dogs at Loffredo Park in Lake Villa. 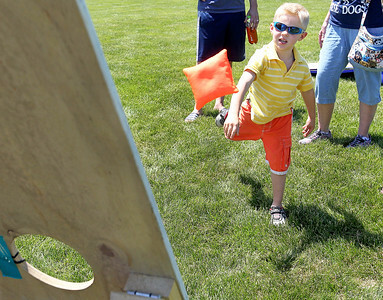 Candace H. Johnson-For Shaw Media Ethan Marsala, 5, of McHenry plays a bean bag game sponsored by Shag Bark Pet Spa & Retreat during A Day with the Dogs at Loffredo Park in Lake Villa. 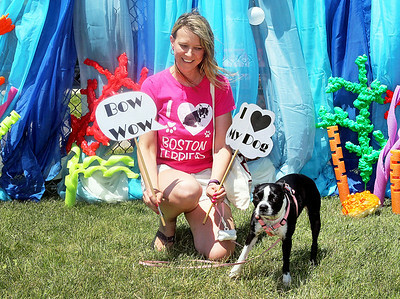 Candace H. Johnson-For Shaw Media Dawn Fletcher, of Lake Villa gets ready to take a picture with her dog, Pepper, a Boston Terrier, in the Bow Wow Photo Booth during A Day with the Dogs at Loffredo Park in Lake Villa. 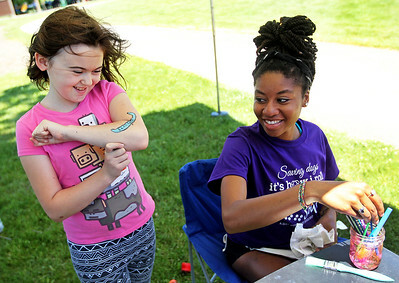 Candace H. Johnson-For Shaw Media Serena Paulina, 10, of Lake Villa looks at her snake tattoo as Simone Lord, 18, of Lindenhurst looks at her work after having finished putting the tattoo on her arm during A Day with the Dogs at Loffredo Park in Lake Villa. 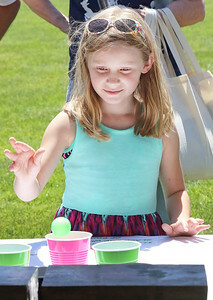 Candace H. Johnson-For Shaw Media Charlize Marsala, 7, of McHenry plays Pet Pong in the Peace, Paws, & Harmony booth during A Day with the Dogs at Loffredo Park in Lake Villa. 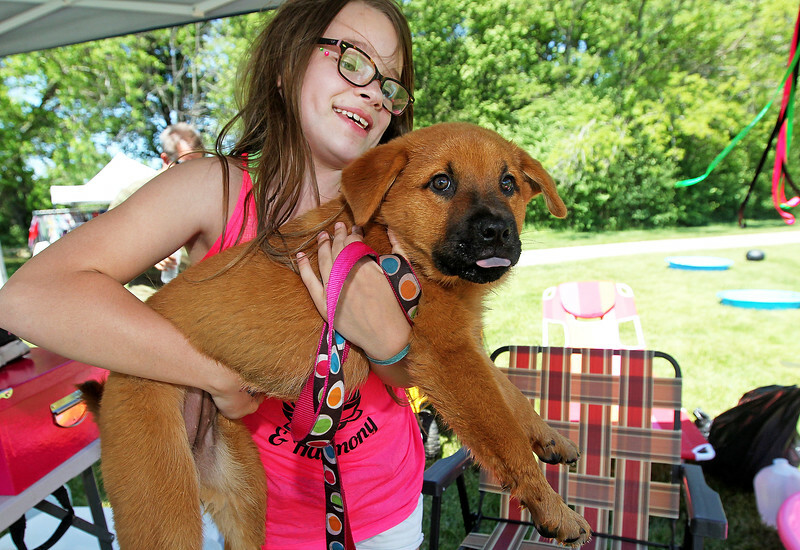 Dominique Brandt, 11, of Lindenhurst picks up her dog, Trinka, a Rottweiler-mix during A Day with the Dogs at Loffredo Park in Lake Villa. 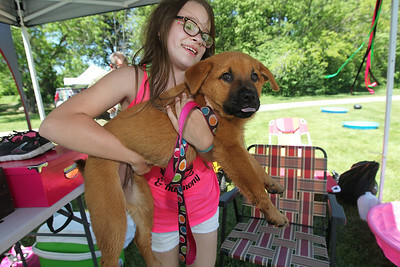 Dominique's mother, Shawn Forsythe, owns Peace, Paws & Harmony in Lindenhurst.